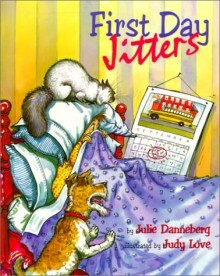 First Day Jitters by Julie Danneberg is a great book to read on the first day of school. Sarah Hartwell is the main character and in this book she is nervous about her first day of school. Mr. Hartwell gives Sarah the push that she needs to get up and go to school. Once she arrives, the reader is shocked to find out that Sarah is actually the teacher! This book could be used as a great ice breaker on the first day. When the students hear that their teachers get nervous too, I think they will feel just a little more comfortable and at ease in the classroom. After reading, I would have the students turn and talk to their neighbor about what they are the most nervous about for the first day. After their discussion, I would have them take out their writing journal and write 3-4 sentences about their own feelings. 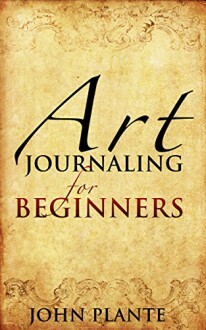 I have been after my kids to read this and tell me their thoughts on an art journal. I thought it would be a fun exercise for them. It explains that this type of journal is to go beyond words. To doodle, to draw, to make a collage, to draw and to use photos and write in circles and edges and around the art. I love the ideas that it shows and explains that this is to be fun and help the journalist explore his/her feelings.